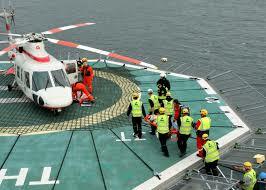 HOIT is the first training for Helicopter Operations ground support staff in offshore industry. There is a prerequisite that candidate must have 'Dangerous Goods by Air" training before they can take HOIT training. For the benefit of those students who have not gone through "Dangerous Goods by Air" training, we also conduct this training. 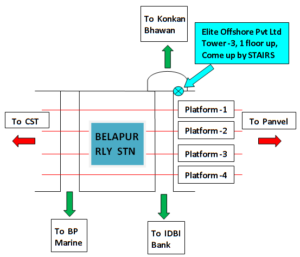 Marine staff in Offshore Industry, Safety officer, Deck Pushers, whoever is involved with Helicopter Ground operations. (6) Typical hazards associated with offshore helideck operations. (9) The structure and terms in a typical pre-flight weather report and floating installation (or vessel) data required by helicopter pilot. (10) Typical Helideck team requirements for Normally Unattended Installations (NUIs). (12) Helideck checks for contamination, debris or damage before and after take-off. (13) Communication checks, checking helideck equipment status, safety nets, security and stowage of helideck equipment. (14) Helideck team brief prior to helicopter landing at appropriate times during helicopter operations. (16) Ensure helideck team are in required locations during helicopter operations. (18) Conduct and respond to required helideck protocols during helicopter operations, to include: safe-to-approach, helicopter anti-collision lights switched off and ‘thumbs-up’ from pilot (as agreed by operating company). (19) Check passenger and freight manifests. (c) Load and unload helicopter freight correctly – using correct manual handling techniques and within helicopter freight loading limitations and requirements. (23) Comply with helicopter danger areas rules. Note: HOIT Training Certificate is one time certificate and has no expiry.